Today, we’re heading back into the kitchen, and believe it or not, this time we aren’t baking. 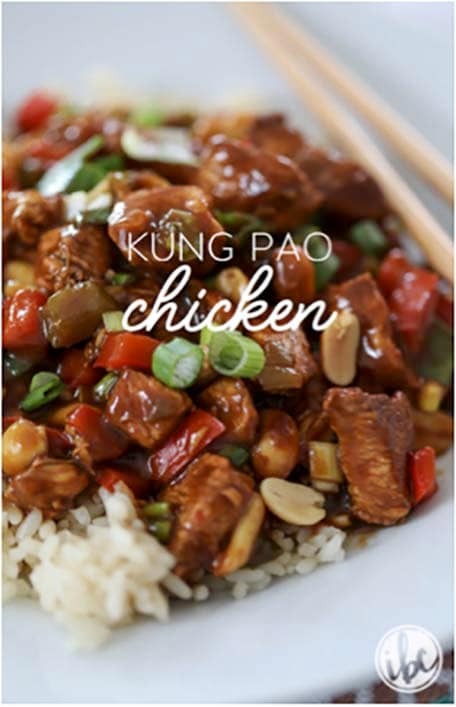 Instead, I’ll be teaching you how to make Kung Pao Chicken. 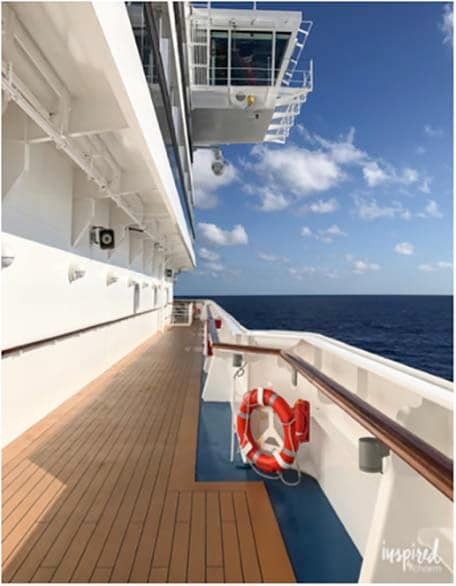 Earlier this year, I had the pleasure of sailing with Carnival Cruise Line on Carnival Vista, their newest ship. One of the many wonderful aspects of cruising is the amazing number of dining options onboard for breakfast, lunch, dinner, and everything in between. On a week-long cruise, you could eat something different for every meal. For dinner, you have the choice of enjoying the buffet, heading to the dining room (which most folks seem to do), or eating at one of the ship’s specialty restaurants. As delicious as the food is in the formal dining room, for me, the specialty restaurants are where it’s at. On Carnival Vista, you’ll find Cucina del Capitano (Italian), Fahrenheit 555 (Steakhouse), and JiJi Asian Kitchen (Asian). There is an additional fee for dinner at each of these ($15-$35 per person), but it’s so worth it. 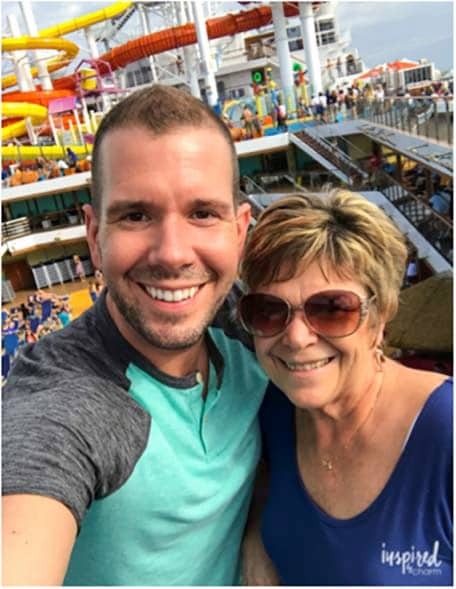 On our recent cruise, my mom and I ate at each of the restaurants. 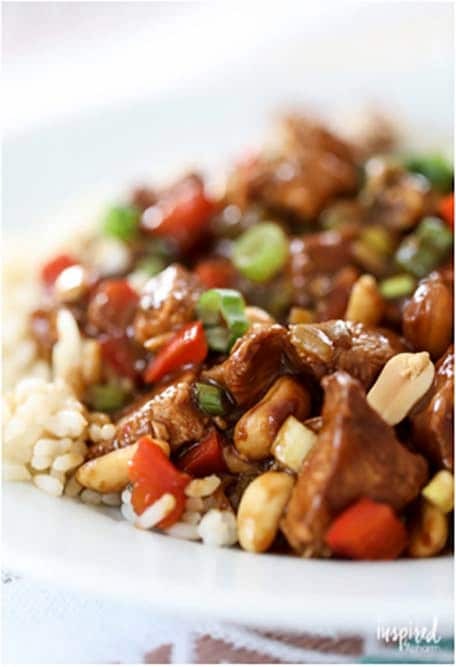 We actually hit JiJi Asian Kitchen a second time for the Kung Pao Chicken. It was crazy delicious. 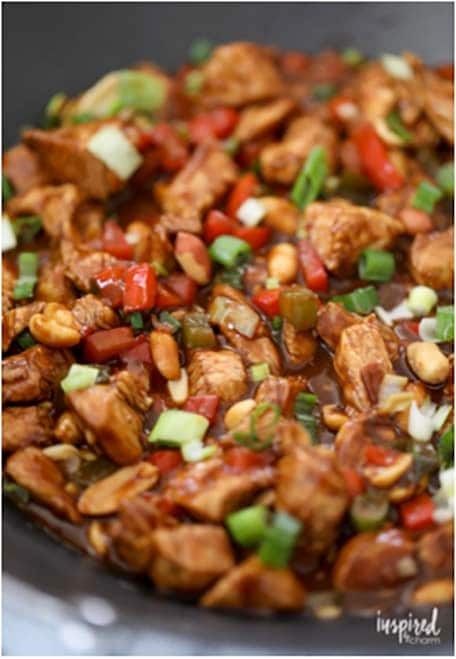 Now, two months after our cruise, I’m again craving that incredible Kung Pao Chicken. So what’s a boy to do? I decided to recreate the recipe at home. Although it doesn’t quite live up to the version at JiJi Asian Kitchen, it’s pretty close, and it definitely satisfied my craving. 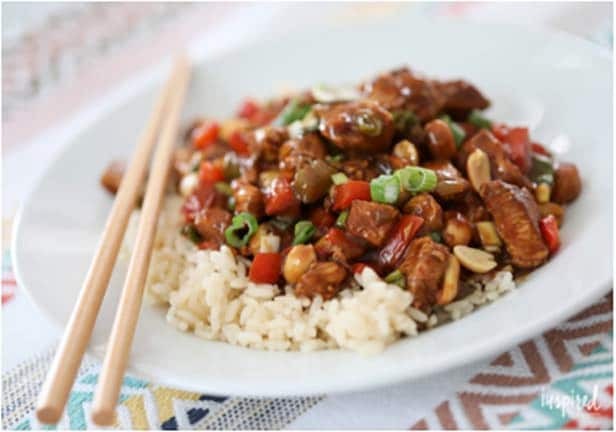 To make this Kung Pao Chicken recipe, I did research online and found a variety or recipes that had similar flavor profiles. With a bit of testing and combining of recipes, I’ve come up with a dish I’m proud to share with you. 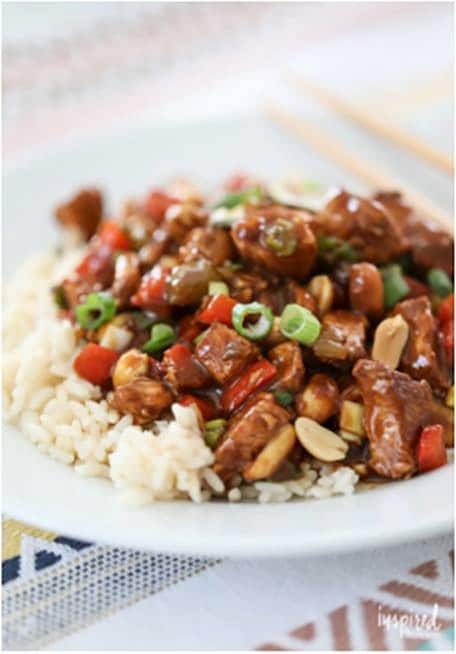 Typically, Kung Pao Chicken is fairly spicy thanks to the dried chili peppers included in most recipes. Since I prefer a little less heat in my food, I opted to leave the dried chilis out. Instead, I put in crushed red pepper flakes. To get the level of spiciness you like, you can just add more pepper flakes. No matter what your heat preference is, I think you’re going to love this recipe. And while I can’t take you all on a Carnival Cruise (I wish. ), I can at least share a taste of the cuisine! 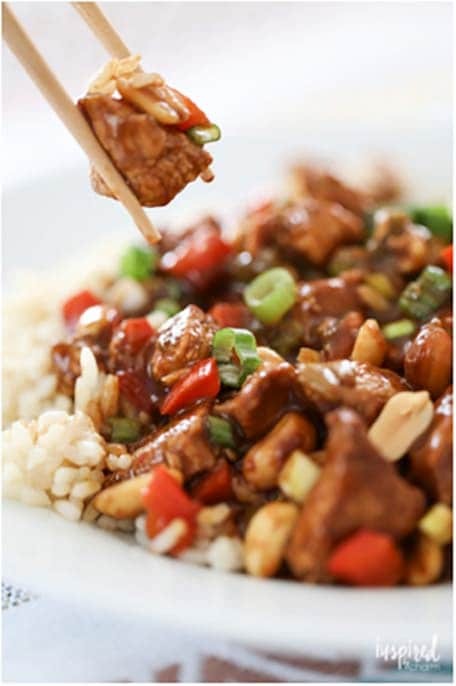 In a medium-sized bowl, prepare the marinade by whisking together soy sauce, balsamic vinegar, sesame oil, and cornstarch. Add the chicken and stir to coat. Let stand at room temperature for about 15 minutes. 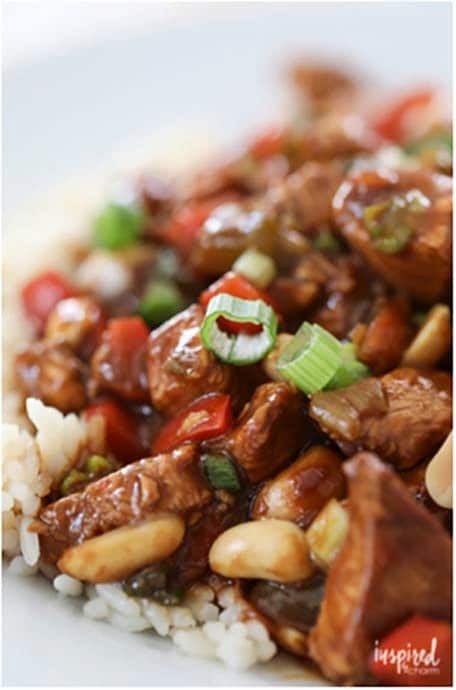 In another bowl, prepare the sauce by whisking together the soy sauce, dark soy sauce, hoisin sauce, balsamic vinegar, sesame oil, sugar, and cornstarch. Set aside. In a wok (or large skillet) over medium heat, add the peanut oil. Stir in the crushed red pepper flakes. Add the red and green bell peppers. Cook for 3-4 minutes or until the peppers are slightly softened. Stir in the minced garlic and ginger. Cook for an additional minute. Add the chicken with a slotted spoon (no need to include extra marinade). Cook the chicken for 4-5 minutes or until it’s thoroughly cooked. Add the sauce to the chicken and mix it to coat the chicken. 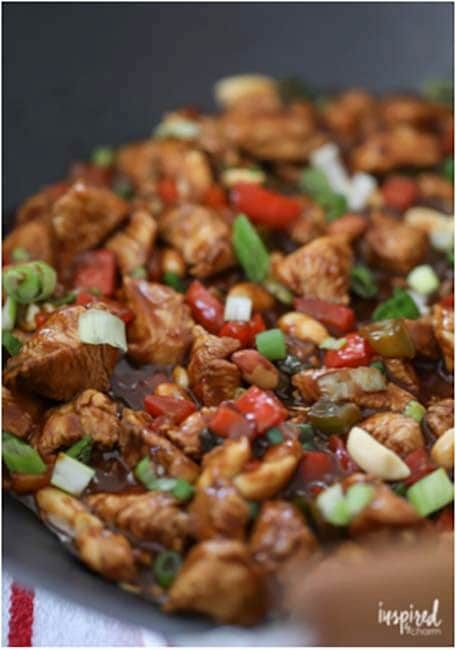 Stir in the peanuts and cook for an additional 1-2 minutes. Remove from heat and toss in half of the chopped green onions. 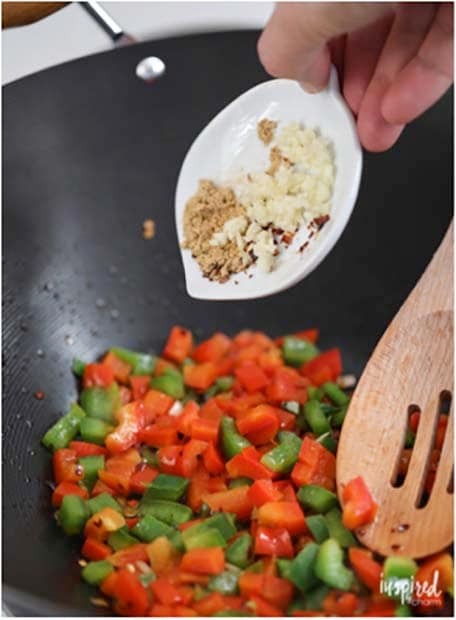 Transfer to a serving plate; sprinkle the top with the remaining green onions. Serve with white rice. Talk about a dish that’s loaded with flavors. This is it! While baking and making appetizers have been my forte, I can certainly see myself getting more into actual cooking. Just as long as everything tastes as good as this. 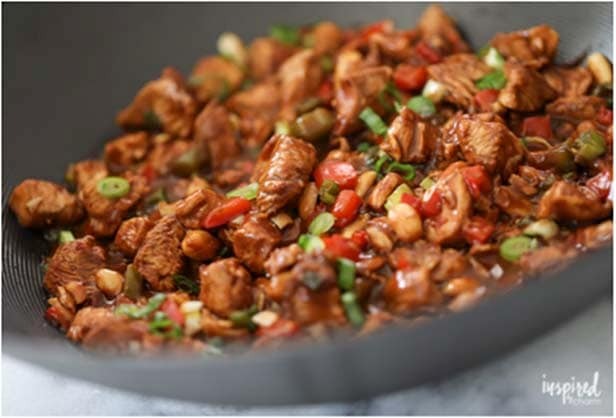 If you give this recipe a try, be sure to swing back and let me know what you think.